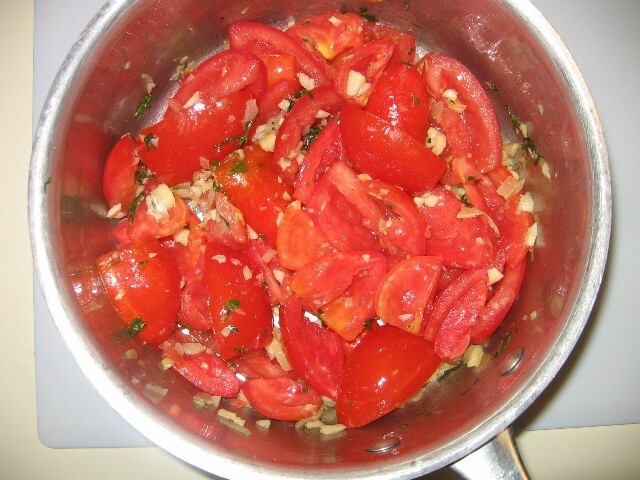 Here are some tomato sauce basics. 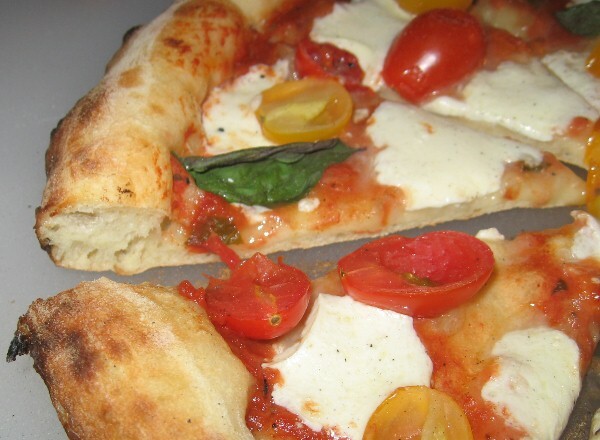 First and most important for pizza sauce is that you do not want the temperature to go over 200 degrees. Above that, the tomato flavor begins to break down, so you should always use a low to medium heat. You should always begin cooking with no more than half the anticipated amounts of salt and sugar. These are the 2 ingredients you use to bring the sauce into balance as it cooks. 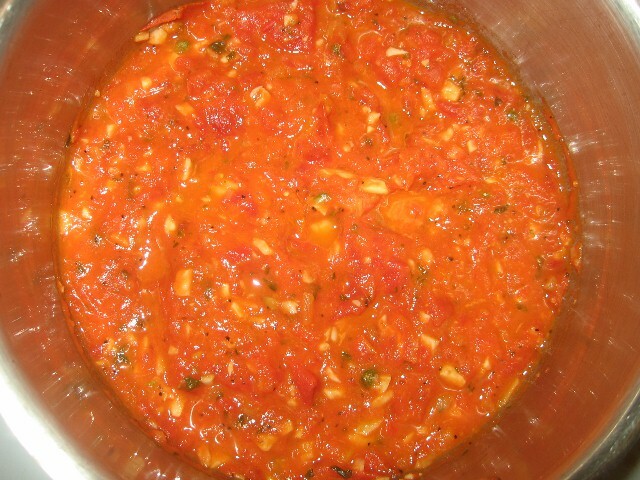 Fresh tomatoes are obviously the best choice, but you can also make an acceptable sauce using canned whole tomatoes. I am not a fan of DOP San Marzanos, but if you are they certainly work. 2-28oz can of tomatos or 8-12 plum tomatoes gutted and rinsed. 1-4 tbsp sugar (I use un-processed brown sugar). 1/2 tbsp coarse black pepper. 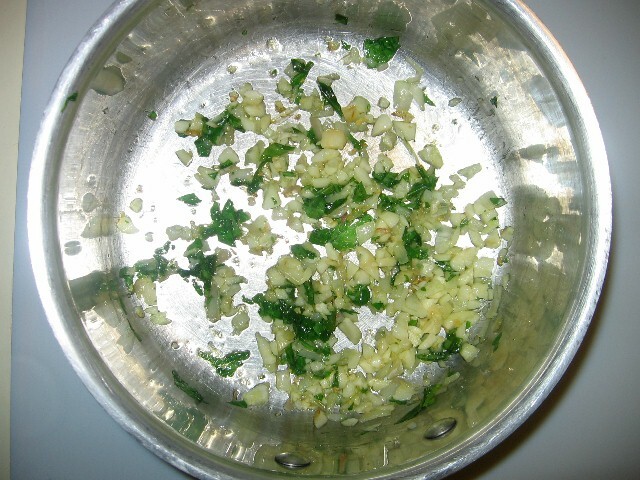 3-5 cloves of garlic, crushed and finely diced. 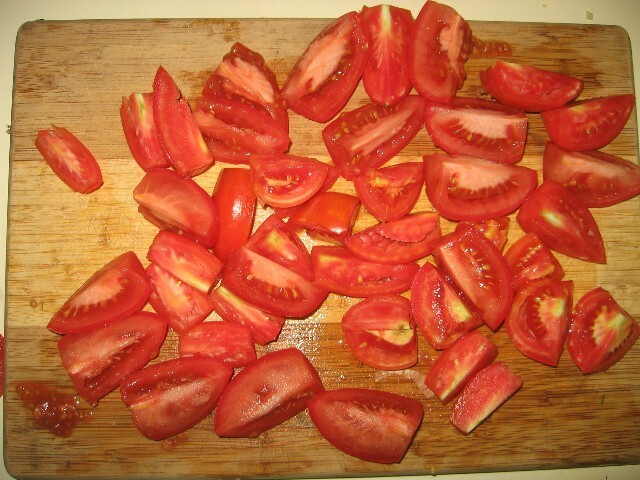 Here is an example using fresh plum tomatoes. Garlic and 1/2 the basil in a splash of EVOO, just a brief stir at medium heat to make the garlic happy. The tomatoes quartered and ready to be be gutted and rinsed. I gut them with my thumb under the water stream as I rinse them. Mixed up and cooking over low heat. Finished and ready to use. I hit it briefly with a stick blender to get rid of the big chunks. After chilling, I will drain off any liquid and it is ready for use. As always it leads to Pizza!